Enjoy a free Starbucks drink. Just buy one drink and get another completely FREE. The difficult bit will be choosing what free delicious drink to have. 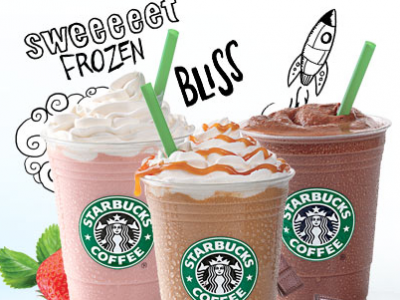 I'll be having their new Mocha Cookie Crumble Frappuccino -with lots of whipped cream! Claim your free drink before Friday 10th August 2012. Buy one festive drink this week and get another for free!